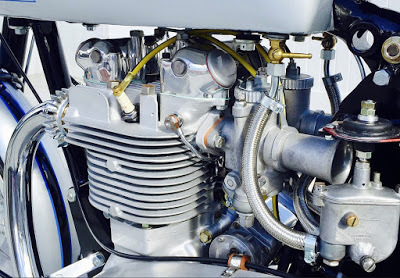 TRIUMPH SQUARE BARREL: A 500-CC TWIN FOR ALL SEASONS! From WWII bomber to Grand Prix Winner, Triumph’s Twin was an incredibly flexible engine, blogs Stephen Cox. 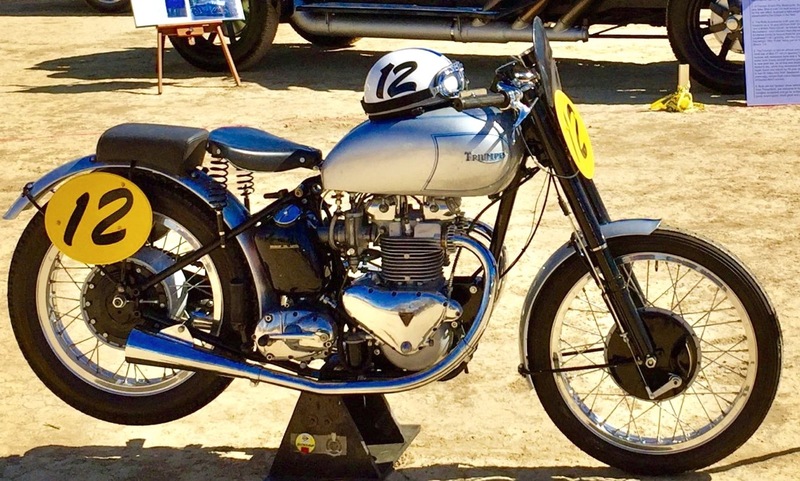 Triumph took the world by storm in 1938 with its its Speed Twin, the first of the great British parallel twin street motorcycles. But their enthusiasm – and sales – were cut short by World War II, which began the following September. 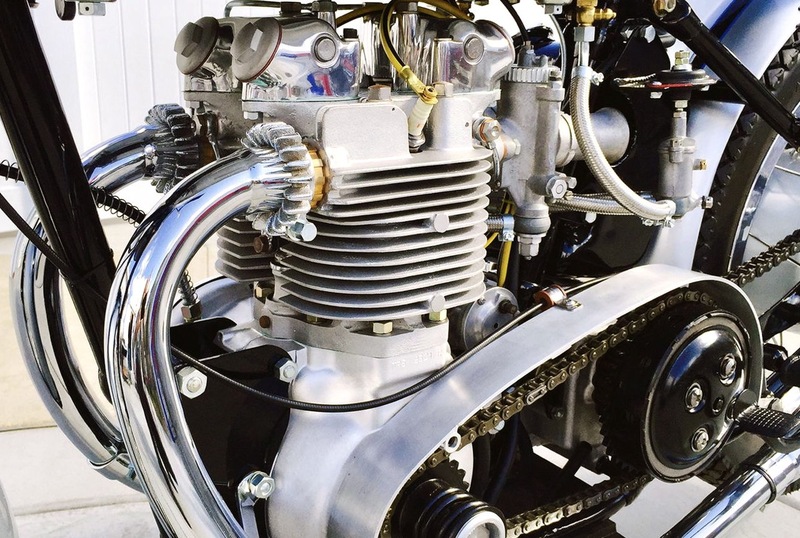 Triumph engineers quickly adjusted to wartime production by re-designing the Speed Twin’s excellent 500-cc power plant as a portable generator for military use. The cylinder heads and barrels were cast from aluminum and the generator’s operating temperature was kept in check by connecting an external fan to the engine’s handcrafted tin cooling shroud. The generators were used in aerial combat to power equipment inside the Royal Air Force’s legendary, four-engined Lancaster heavy bomber. They were also dropped by parachute to British soldiers on the front lines. At the end of World War II, Triumph had a surplus of generators but no motorcycles to sell. Once again, the company adapted to the situation. 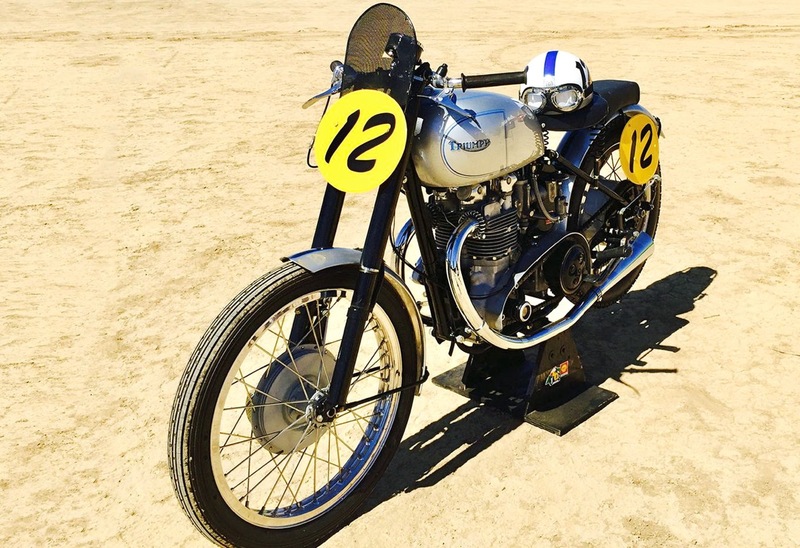 Extraordinarily rare today, these generator-powered motorcycles became known as Triumph Grand Prix “Square Barrels.” Ernie Lyons rode one to victory at the 1946 Manx Grand Prix, inspiring Triumph to build a handful of the bikes throughout the late-1940s. 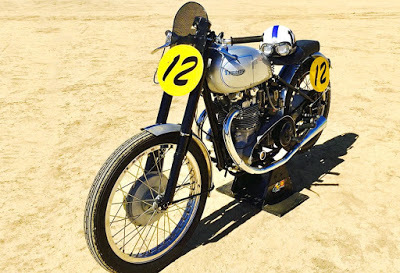 Which is a shame, because only ten to twenty of these magnificent motorcycles are still believed to exist, of which perhaps half a dozen are in running condition. If you are lucky enough to find one of them today, be prepared to pay at least $30,000 to take it home. The few surviving examples represent a wonderful combination of motor racing history, British ingenuity and the legacy of aviation in World War II.